Whit, or Isis Among the Unsaved, Iain Banks, Little, Brown, 1995, ISBN 0-316-91436-3, f15.99, 455pp. I’m trying to catch up on Banks–I had four novels of his on my to-be-read shelf, and thought it time to get to them. 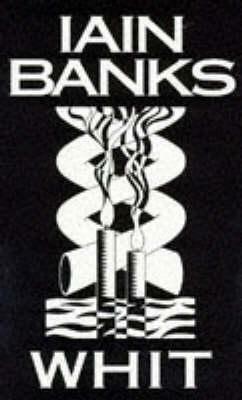 I do not know why I was procrastinating, for Banks is one of my favorite authors. The general consensus about this book from the usual sources was that it was one of Banks’ minor works, if not his worst since Canal Dreams, roundly despised by Banks fans. Personally, the one Banks novel that I have not cared for was The Bridge, and I suspect that my opinion of that book would change if I read it today. While I can not put Whit next to The Player of Games, Espedair Street, or The Crow Road as one of my favorites, I enjoyed this book much more than I expected given its reputation. The title refers to the last name of the main character, one she shares with several other characters in the book including her grandfather, Salvador Whit, the charismatic leader of the Luskenyter cult. One of the cult doctrines is the reverence for those born on Leap Day, and the Beloved Isis is a third generation Leapyearian. The cult is preparing for one of their special events, the Festival of Love, when they get a letter from Morag, Isis’s cousin who is an international music soloist and the festival guest of honor, claiming that she is an apostate (i.e., no longer a cult believer) and will not be attending the Festival. Isis is elected to go among the Unsaved (thus the subtitle) to find Morag and bring her back into the fold. Isis starts off somewhat naive, it not as oblivious as Candide, at least as innocent. It is not hard to see that her growth as a character in this novel is to lose that naivete, to grow up and confront her faith, the world, and the “truth.” I loved the endless revelations about the Cult and its background, and the plot had plenty of twists and turns that prevented you from predicting the outcome. If I had to quibble, though, it would have to be in the quick metamorphosis Isis goes through, from innocent and incredulous to world wise and tough. You get some glimpses–foreshadowing–that Isis is not just a waif, but the suddenness of the change is still a little jarring. I can see that this might not be everyone’s cup of tea, the subplot regarding faith, trust, and truth appealed to me. 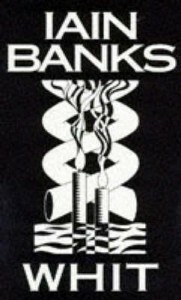 Banks is brave to have a main character who is not only religious, but not a follower of a major denomination or belief. I’m convinced the guy could make almost anybody appealing.